The real Kate was, indeed, Hungarian, but had lived most of her young life in the Mississippi River town of Davenport, Iowa, not Budapest. Her given name was Maria Katarina Horoney, the daughter of a Hungarian doctor who had fled his home country during political upheavals there. When her father and mother both later died in a fever epidemic, young Kate left home and traveled down the Mississippi to St. Louis, where she met a young man named John Henry Holliday – or so she said in her memoirs years later. But as everyone knew Doc Holliday had never been in St. Louis, her story was discounted for decades and largely ignored by historians. More likely, she met Holliday in the rowdy trail town of Ft. Griffin, Texas, where he also first met lawman Wyatt Earp, and was just trying to give herself a more respectable past. One can’t blame her for imagining a better history for herself. As a dance hall girl and sometime prostitute, as the stories go, she had a lot to hide in her reminiscences. So she made up a fanciful tale about meeting Doc while he was working as a dentist in St. Louis, where he lived, according to Kate, “on Fourth Street, near the Planter’s Hotel.” So much better than saying they met in a saloon in Fort Griffin! But as I was researching Holliday’s years of dental school in Philadelphia, I came across an intriguing coincidence. One of his classmates there was a young man named Auguste Jameson Fuches, of German descent, from St. Louis. And more interesting, both Holliday and Fuches had written their final dissertations on the very same topic, “Diseases of the Teeth,” the only two students in their class to do a paper together. It was clear that Holliday and Fuches were friends, and likely that newly graduated Doc Holliday had spent the summer of 1872 in St. Louis, staying with Jameson, who happened to live on Fourth Street, near the Planter’s Hotel, right where Kate said Holliday had been in St. Louis. 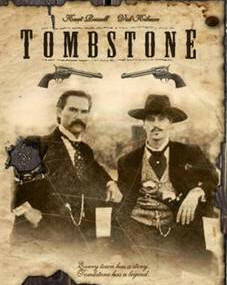 Suddenly, Kate’s stories of Doc Holliday visiting St. Louis made sense. And what a city it was for a young man fresh out of college! For St. Louis was the Gateway to the Wild West, and full of stories that summer of 1872. Like the story of Eberhard Anheuser, a German soapmaker living in St. Louis who won a brewery in a poker game. restaurants. Anheuser and Busch paid the restaurants’ liquor license fees, and the restaurants served the Bavarian Brewery’s beer. But Adolphus Busch was determined to turn the Bavarian into a fine brewery, so he spent every summer returning to the Old Country, looking for a winning malt recipe. He finally found what he was looking for in the small Bavarian town of Budweis, where the people had been brewing a special lager for their Kings for generations. They called their recipe, “The Beer of Kings,” and were so flattered by the compliments paid by Adolphus Busch that they gave him their recipe, which he took home to St. Louis and renamed, “The King of Beers” and called it Budweiser. The people of Budweis have been suing ever since to take a cut of the fortune Anhauser and Busch made off the secret recipe for Budweiser. In the summer of 1872, Tony Faust’s Oyster House and Saloon was one of the places that sold Bavarian Beer, as Faust was friends with Anhauser and Busch. There’s a story about Adolphus Busch making bets with customers at Tony Faust’s, claiming that he could tell the maker of any beer just by taking a taste. If he lost the bet, he bought everyone in the restaurant a mug of beer – from the Bavarian Brewery, of course, making for great promotion. Besides the beer, Faust’s was famous for having some of the finest food in the country, and was praised as the Delmonico’s of the West, after New York’s best restaurant. When Holliday was in town, Faust’s was the place to go. After the beer and the dinner, St. Louis offered plenty of other entertainments that summer, like Buffalo Bill Cody’s Wild West show on tour, a bargain for just 35 cents a seat, and a visit from PT Barnum’s Circus Museum and Menagerie, a traveling show of strange and exotic beasts. Barnum would soon join forces with Mr. Bailey’s circus, then the two would associate with the Ringling Brothers, forming Barnum & Bailey’s Ringling Brothers Circus, the Greatest Show on Earth. So that summer in St. Louis must have been an exciting vacation for young John Henry, the place where he first practiced dentistry as Doc Holliday, where he first met the woman who would become his Western paramour, and where some say he had a dangerous run-in with a riverboat gambler. In some ways, St. Louis was the start of the legend of Doc Holliday.